For more than 25 years, Michelle Wallach has been building, leading, and nurturing a thriving network marketing business. After creating a successful nutritional health products distributorship, Michelle, along with the Wallach family, launched their company in 1996 with a mission to improve lives through vibrant health and flourishing economics. 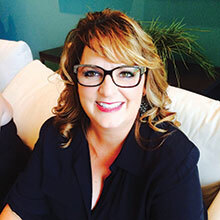 As Co-Founder, Michelle has also served as Chief Operating Officer since the company’s inception, and has poured her heart and soul into its growth and building distributor relationships. Now over 20 years later, the company is a leading omni-direct, multi-vertical lifestyle company, which continues to spread its mission of betterment based on core nutritional beliefs. Through her years of entrepreneurship and as COO, Michelle discovered a passion for empowering women business builders. In 2007 she developed and launched their makeup line. This product line offers a pure, healthy, mineral-based make up alternative and botanical spa and hair care products. Never one to shy away from fulfilling a dream, plan or business idea, Michelle now focuses significantly on helping other women do the same. Also in 2007, Michelle established a women’s event (now called the Live the Life You Want event) to empower women in network marketing to own the success that they have earned. Motivated after seeing women shy away from accepting awards and recognition for the hard work and success they had created, Michelle wanted to enrich other women’s lives such that they would understand the power they have, not only in creating their own destinies, but the economic power they hold. Michelle’s guiding principle has always been that anyone can create and lead any life they want to live through the opportunity this industry, and her company, specifically, offers. If they want a healthy life—they can have it. If they want to make money to pay the bills or more—they can do it. If they want to travel or develop wonderful friendships—they can have that too. In short, her belief is that the network marketing business is designed to help you create the life you want to have…and she knows it to be a fundamental truth because she did it for herself. Her goal these days is to help others uncover their own dreams and create a path that works towards fulfilling them.